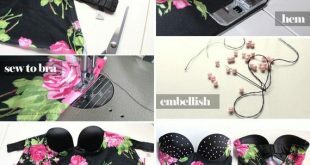 Check out these 15 awesome ideas for making alterations, small or big, to the clothing you already have in order to give yourself new looks this season without breaking the bank on new things from the store! 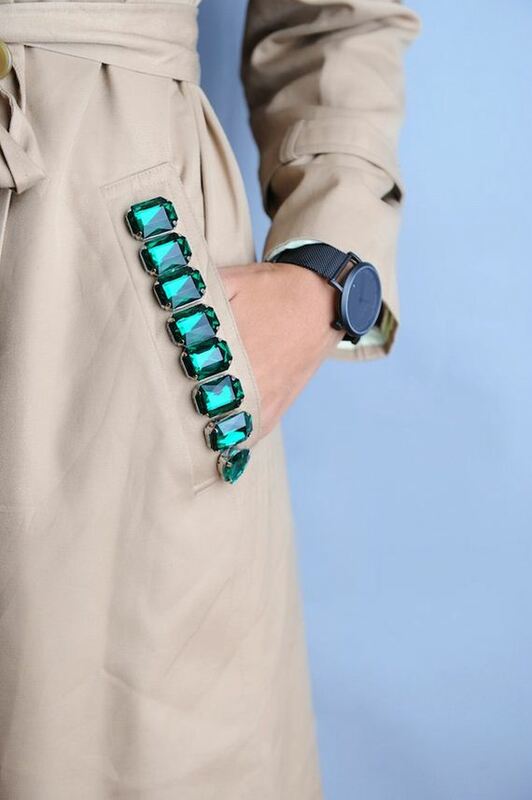 Do you own an old trench coat that’s the perfect weight for an average fall day, but that’s a little on the boring side? Give it some sparkle and style by adding chunky rhinestones along the edges of the front pockets! See how these gorgeous jewel tone stones were attached by A Pair & A Spare. This little tunic style might not keep your arms very warm, but we know that when we get chilly in the fall, it’s our torso and core that need attention! Adding a stylish extra layer at least around the middle is a fool proof way to get a cute fall look and keep yourself just slightly warmer. Check out how this design was made on Always Rooney. 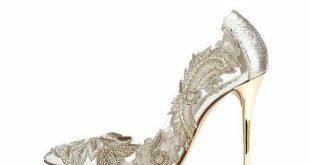 Sometimes the simplest alterations are the best ones, particularly if the pieces is something you really like wearing but that could just use a tiny update. 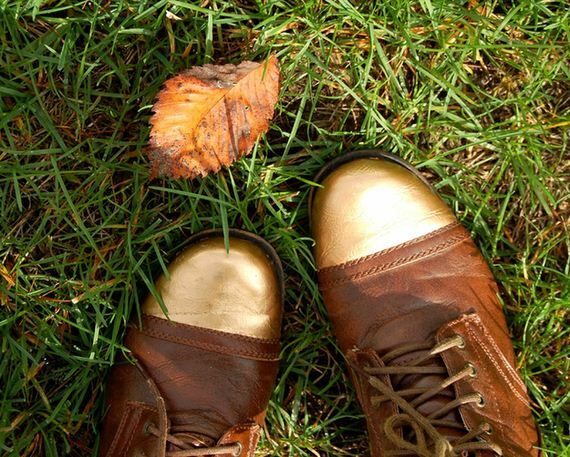 These gold painted boots are the perfect example! Making the toes just a tiny bit flashier practically transforms them into a whole new pair of boots without actually having to buy a new pair before your old ones have worn out. Get the instructions from Cut Out and Keep. In some places, fall is actually still quite warm! 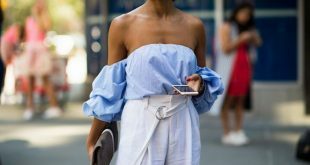 The change in weather doesn’t necessarily mean you have to stop wearing shorts and skirts, but rather just that things have cooled down enough that you can wear materials that would make you sweat in the summer. Leather skirts are the perfect example! 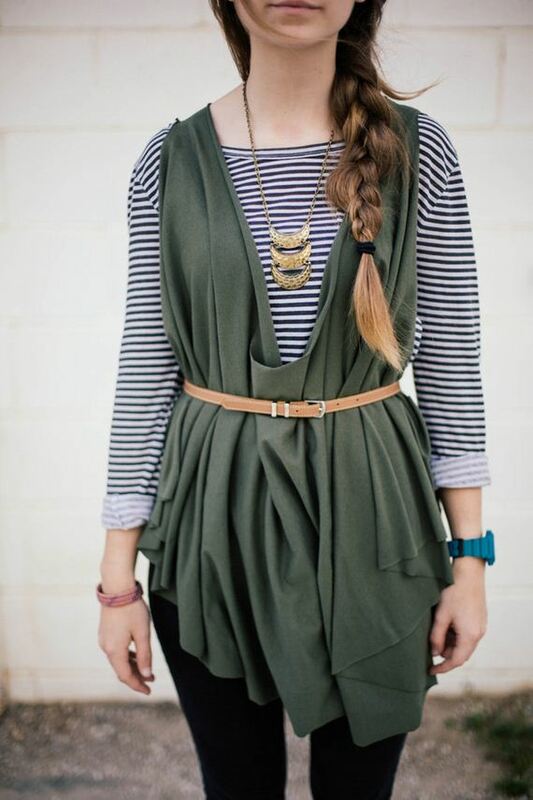 Turn an old longer styled skirt into an adorable fringed creation this fall by following the steps on A Pair & A Spare. 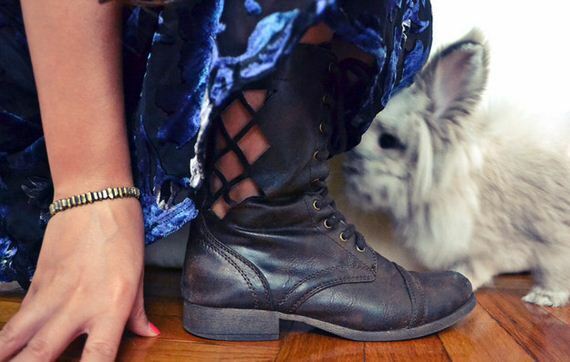 Do you love wearing boots in the fall even if you do live in one of the warmer places we just mentioned above? Then here’s a great way to make those fall boots a little more stylish than last year and to make them more weather appropriate at the same time! We adore this little pattern of leather cut outs from All the Good Girls Go to Heaven. Minnetonka Moccasins knows very well that their shoes, and shoes of similar styles, make a great canvas for a little bit of fall footwear DIY! 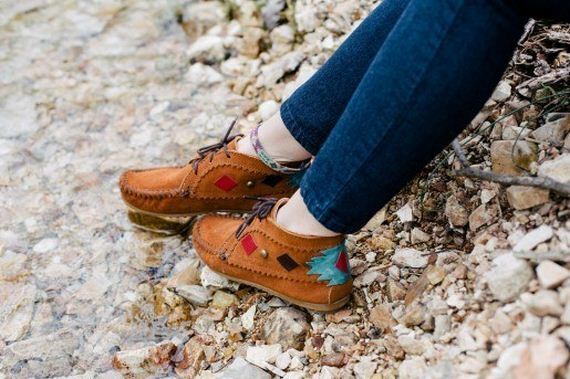 We love the idea of using cut outs and patches in all different shapes and colours to give the pair of moccasins that you bought last year and that are still in great shape another year to shine, but in a slightly different way. 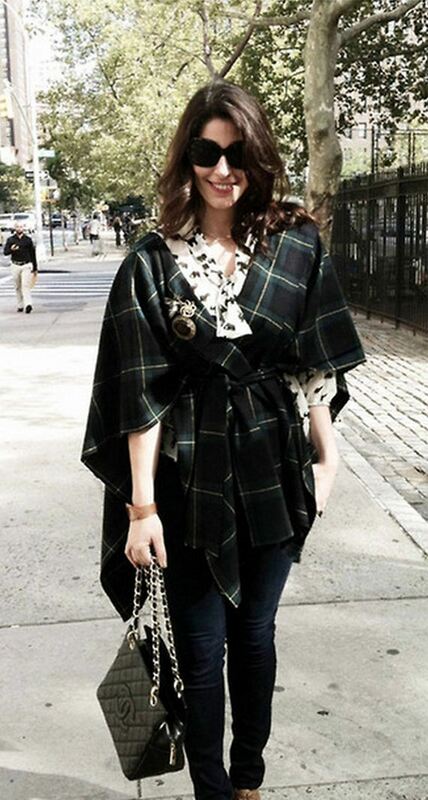 Blanket cloaks and capes are a classic look that have always been very in, but they’re especially trendy this fall! Instead of paying designer prices in stores for what is essentially a sheet of fabric, however, we suggest making your own! PS I Made This has a great tutorial outlining how they’re made for you. 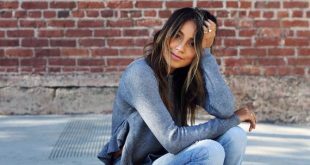 Do you own a plain sweater that you enjoy the fit of, but that you’re a little bit bored with the longer you own it? Give it a little bit of personality by adding a cute, short graphic quote, just like Hitha On the Go did to this one! You’ll be ready for fall and feeling fine in something that’s a little sassier than it once was. 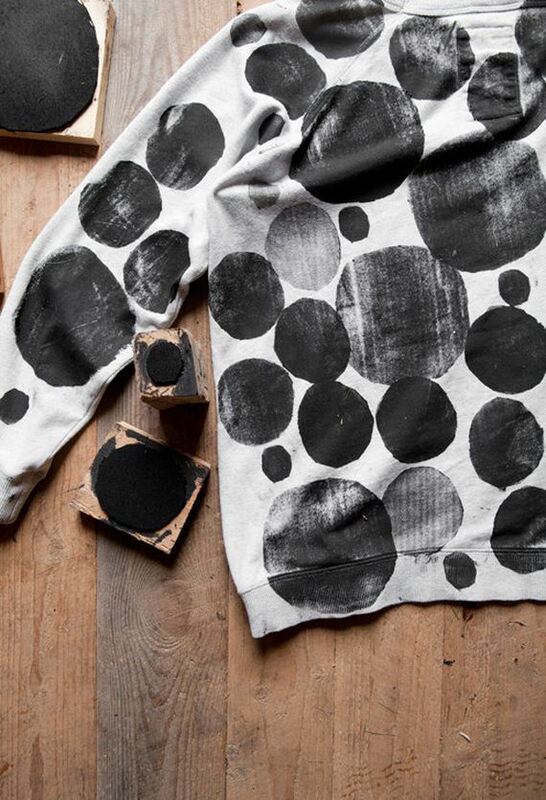 Do you love graphic pieces that have a distinctly DIY look to them? Those are some of our favourites! That’s why we were so drawn to this design from DIY or Die. It’s a great alternative to the idea above but for the same sweater or sweatshirt, just in case you wanted something a little more visual than a quote. Do you like the basic idea of the plaid wraps and throws, but you thin you look better in something with a little bit more form to it? Perhaps you’d love to make yourself a stylish poncho but you don’t know hot o sew? Well, never dear, because Brit + Co. has you covered with this adorable no-sew design! There’s nothing quite like getting yourself a new clutch for fall… except for making one yourself, of course! If you ask us, the more unique the clutch, the better. 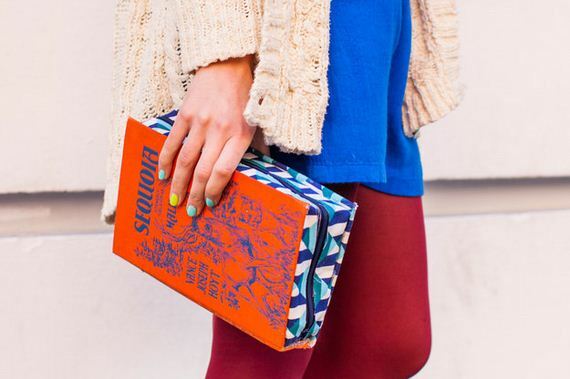 Here’s an idea that’s great for your inner book worm: a hard cover book transformed into a small zipping purse! It’s a funny but stylish touch for school when exam time comes. Get the full tutorial on Brit + Co.
Just because colder weather is coming doesn’t mean you can’t still wear cute dresses and skirts, as long as you layer properly to stay warm! 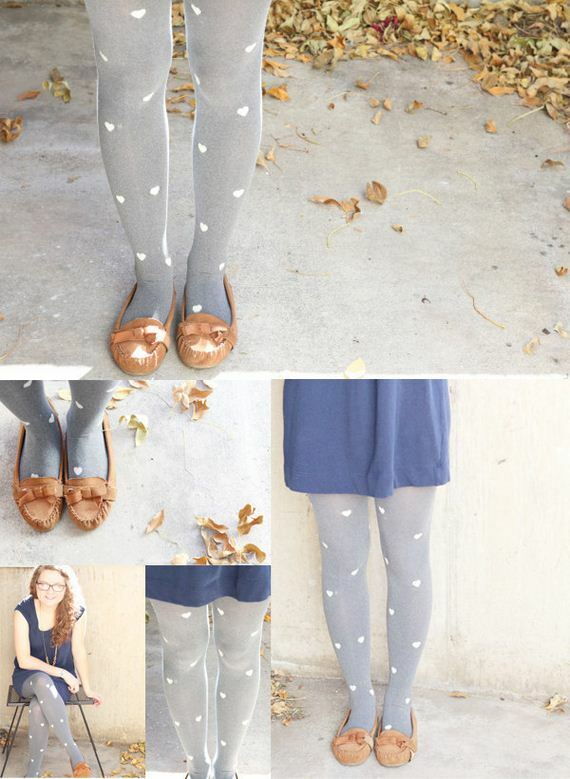 If you have to wear tights, though, you might as well make them as cute as possible! You can make your own graphic heart tights just like the ones you’ll find in stores by following the steps on Lemon Jitters. 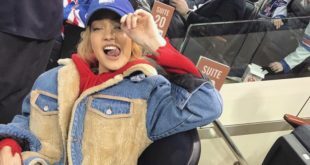 Perhaps you bought your coat during a year where subtle colours and neutrals were very in and now bright, fun shades are the thing but your coat is still too nice to justify buying another? Alter it instead! 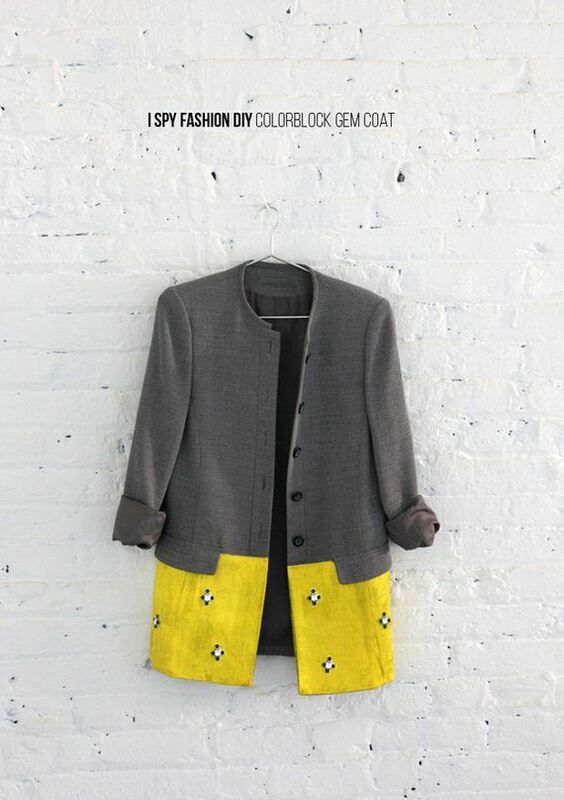 I Spy DIY guides you through the process of using bright fabric and simple sewing techniques to colour block the bottom half of the coat to the hem. Maybe you’re just looking for an extra little something to give your jeans the tiniest touch of style, since all your pairs currently look the same? Then check out these adorable studded skinny jeans by I Spy DIY! 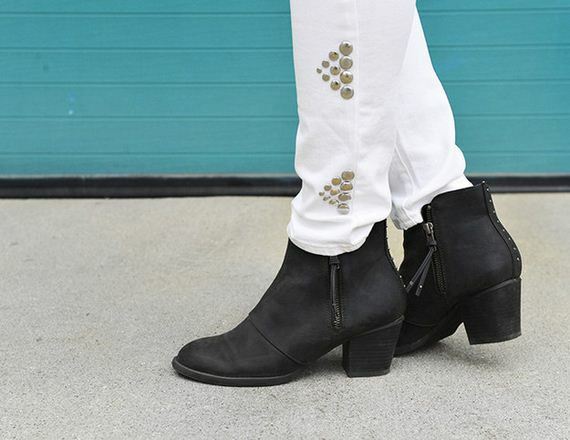 We love that you can wear them casually or dress them up, depending on how many studs you add. Crafts crossing over into other projects is one of our very favourite things about DIY! If you’re an avid felter, or even a learner, then this adorable felt elbowed sweater is definitely the fall clothing alteration for you. See how it’s done and get some tips at Honestly WTF.